The Force Close issue has been resolved. Please update Dream Player as soon as possible. Thank you. I have one more bug fix to push out that I’m working on. It’s a minor one having to do with preferences. They are currently not showing localized text, but a resource ID. This has been resolved I just need to verify the fix works. Do you enjoy listening to something as you go to sleep each night? If you do, then Dream Player is an application that will read you a bed time story each night, and automatically create a bookmark when you fall asleep. Dream Player is designed with Audio Books in mind, but you can enjoy your favorite podcasts, albums or other audio files as well as you drift off to sleep without having to worry about pausing or stopping the player. With Dream Player, you can listen to an Audio Book each night without having to worry about losing your place! Dream Player isn’t meant to replace your favorite audio player! It is designed to play your selection while you go to sleep. View Network and WIFI state – Dream Player by default will not download a book cover unless you are connected to a WIFI network. This is to prevent unwanted charges. You can, of course, disable this in preferences. Why should I use Dream Player? Dream Player for Android is a specialized audio player. It is meant to be used every time to relax and listen to your Android device. You can be on the beach, in your favorite hammock, or lying in bed; Dream player will read you a story or play a folder of audio files for you. 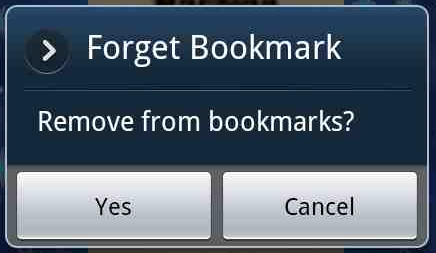 If you fall asleep, it will create a bookmark for you and shut down. Dream Player works in one or two ways. 1) You can place your Android device on your person, bed, or headboard and it will monitor motion to determine when you fall asleep. 2) You can optionally enable “Dock Mode” and it will also audibly prompt you to see if you are still awake. Any intelligible answer will do. If you say nothing or the application cannot understand you, it will stop playing. Dream Player works on almost any Android device running Android 1.6 or higher. How do I use Dream Player? 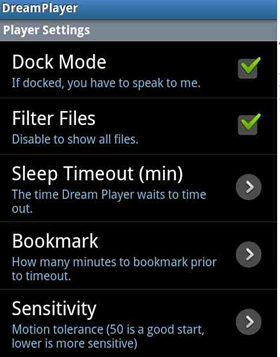 If Dock Mode is checked, Dream Player will use speech recognition to try and confirm that you are asleep if the device has not been moved within the Sleep Timeout period. 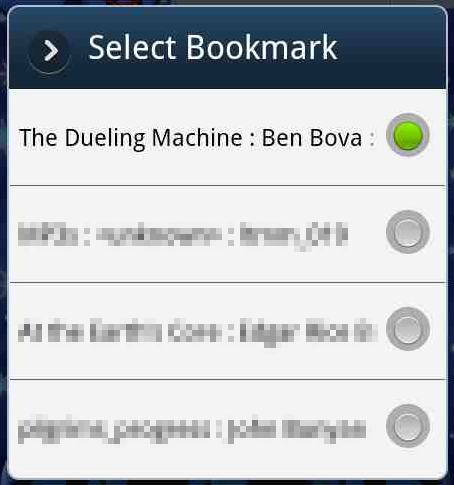 Only files that are known to play on your Android device will be shown in the file chooser. You can disable this to try files of other formats. However, those files are not guaranteed to play. The Sleep Timeout can be adjusted if you fall asleep fast or slow. This may depend how interesting what you’re listening to is? Dream Player’s motion sensing sensitivity can be manually adjusted so you can tune the application to your sleeping behavior. You can adjust how many seconds the player will go when selecting the forward or backward buttons. 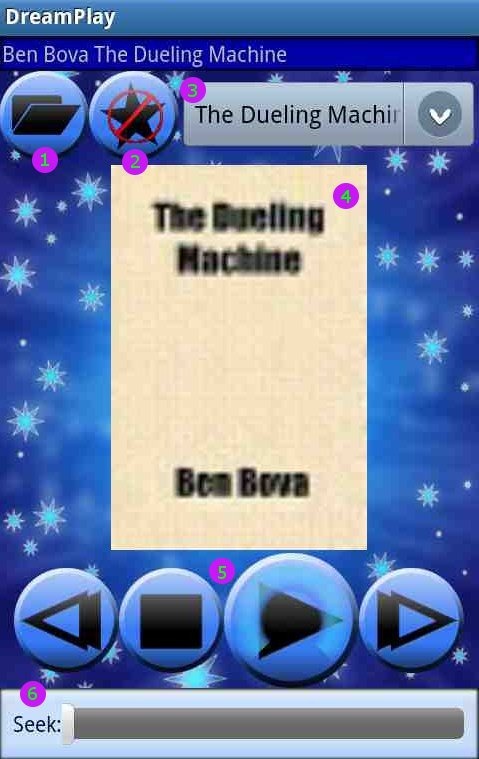 Dream Player lets you use gestures to search the Internet for book covers. Dream Player will try and read the information about the file from the device. Some ID4 tag information is inaccurate or contains extra info. 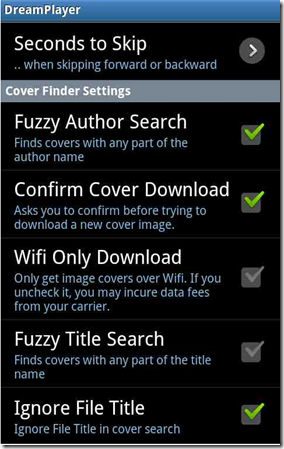 These options are there to assist in finding the best cover for your audio book. You can configure how it does these searches. 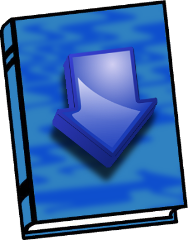 Some DRM-free audiobooks come as a zip file containing multiple audio files. 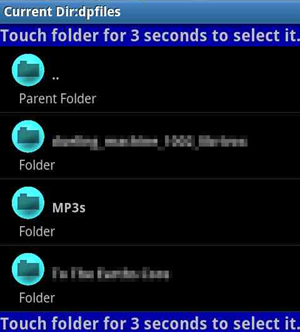 In this instance, you can touch and hold a specific folder for 3 seconds. When you release, the folder itself will be bookmarked. 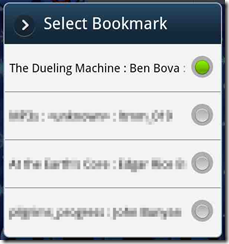 As Dream Player progresses through the audio book, it will automatically advance to the next file. There are four indicators for the book cover. Unknown or downloaded cover cannot be displayed (bad graphic). Dream Player searches the Internet for 10 book covers of various sizes. Since it uses the Internet, some pictures are too small, too big, or just the wrong type. 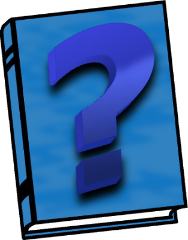 If Dream Player cannot find a Book Cover, it will show the Unknown cover. 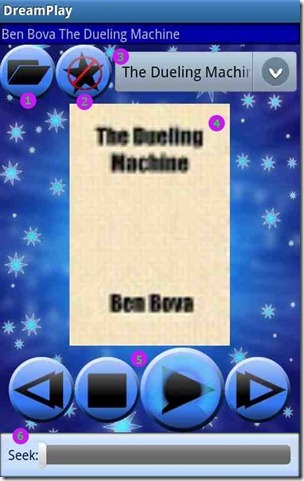 Swipe your finger over the cover graphic to the right or the left to download the previous or next book cover. Swipe your finger over the cover graphic up or down to download a different resolution cover. Press the Rewind button (Far left) or the FastFoward Button (far right) to skip the amount of seconds set in preferences. Pressing and holding the buttons will skip forward repeatedly to assist in seeking to the desired point in a file. Pressing the Stop button, (Second from left) will halt playback. Note the faint glow on the button. This is the timeout indicator. As Dream Player plays, this indicator will progress counter-clockwise. As it get closer to the selected time out, the volume will begin to decrease. If you move your Android device, volume will automatically go back to normal and playback will continue. You can move the slider back and forth to move towards the beginning or the end of the file currently being played. This will open your browser and open this web page. 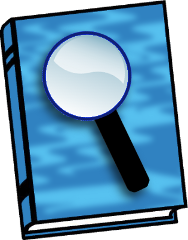 This will open a page for finding free Audio Books as well as links to commercial sources for DRM free audiobooks. Work on a Dream Player for the iPhone and iPad is underway. If you would be interested in testing the application, please let us know! Will this play my audiobooks from Audible? Unfortunately, no. Dream Player only plays DRM free audio files. DRM stands for Digital Rights Management. What that means is Audible does not want you make copies of the Audio Book you purchased. However, Audible is working with publishers to release DRM free audiobooks. Please watch this page for any updates. How do I import my audiobook to Dream Player? You can import copy files from your computer to your Android device. If you have an audiobook on a CD for example, you can copy it to your computer. Microsoft Windows has all the tools built in to help you do this. Here are instructions from Microsoft on how to do this. Be sure to select a format your Android device can play as the target. About.com has an excellent guide for you. Remember to abide by copyright laws! Don’t pirate music or audiobooks. About.com has another great guide on the Do’s and Don’ts. Remember, if you have an Audiobook on a CD you can copy it to MP3 to listen to on your MP3 player. Or, in this instance, in Dream Player! Where can I find Audio Books that Dream Player will play? Did you know there are many places to get Audio Books without DRM. There are also many places to get Audio Books for FREE! And Lastly, there are places where you can volunteer to create Audio Books. Volunteers create audio books for the visually impaired and for books that are in the public domain. Books that are in the public domain rarely have an audiobook associated with them. You can find the Dream Player List Audiobook page here. This can also be accessed from the main menu in Dream Player.